Package C includes three of our most popular books. 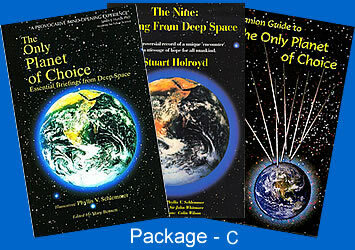 In this package you get "The Only Planet of Choice", "The Nine" and "The Companion Guide". All three for one low shipping charge of $5.50 for US orders and $24.00 for International Orders.